The History of the Kingdom of God, Part 2: Liturgy and the Building of the Kingdom is Sofia Cavalletti’s revision of her earlier book Living Liturgy. Together with Part 1, "From Creation to Parousia," these books offer the reader insight into Scripture and Liturgy as the means to understand God's plan of salvation history, from the creation of the world, through redemption by the life, death, and Resurrection of Jesus, to its culmination in the Parousia, when God will be all in all. 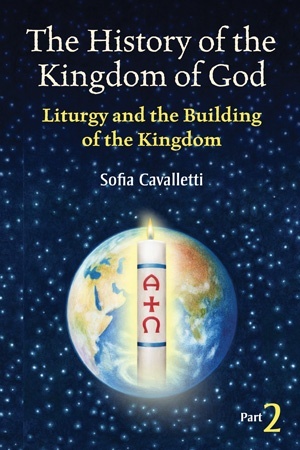 Sofia Cavalletti’s primary concern in this book is to assist adults who are working with the religious formation of children to enter more deeply into the essential aspects of the liturgy. As Rebekah Rojcevicz writes in the introduction, "The second volume, subtitled ‘Liturgy and the Building of the Kingdom of God,’ considers specifically the present phase of history, in which God’s plan is always in action, that is, it is continuing to unfold, and every man, every woman, and every child is invited to participate and collaborate in this history." Her understanding of liturgy as transformative prayer brings about God’s kingdom on earth as it is in heaven makes this work of interest to all who love the liturgy and for whom liturgy is central to their Christian life.